which determines who is first in pvp attack? part of this is my work hmmmm? Really? No other bonus for Wolverine X Phoenix? Just Children of Atom? Fantomex: X-Force, Weapon X, Big Guns, Flirt, Red in the Ledger? Emma and Phoenix Quintuple Bonus Pairs now. Anything for Modern Black Knight yet? vision and omega should also be classified as Aviary. I don't see it. omega sential ??? anyone ? what is her team up bonus? Psylock + Deadpool is NOT giving the Fashionista bonus..
Luke Cage + Iron Fist = Heroes for Hire + Avengers + Thunderbolts. thing + spider-woman = new assembled. Iron Fist + Spider-man = Newly assembled. Luke Cage + Spider-man = Newly assembled. Black Widow / Hawkeye both with Avenger Suit = Agents of S.H.I.E.L.D., Assemble!, Frenemies, Red In the Ledger, Thunderbolts = Quintuple 250 Points!!! does team up bonuses count something in pvp? Angel + Deadpool = X-Force. 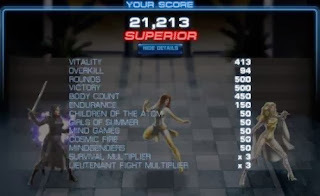 how many bonus for daimon and satana? How is Wolverine in War buddies (served in WWII) But not associated with Proud to Serve(military veterans)? Black Knight + Ares = Assemble! I think Black Widow and Hawkeye can have 350 p. Marvel can add Averages Joes to this team-up. They are not Superpowered. This post is just awsome. Iron Man + Star-Lord = 300!!!!! Big Mouth, Guardians of the Galaxy, Flirt, Ladies Man, Fully Armed, Safety First. Do the team-up bonuses max at 300?